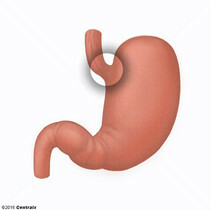 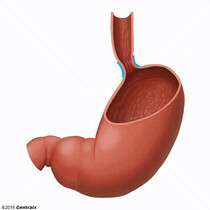 An organ of digestion situated in the left upper quadrant of the abdomen between the termination of the ESOPHAGUS and the beginning of the DUODENUM. 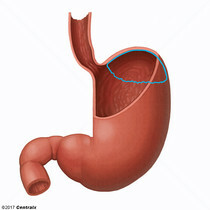 The area covering the terminal portion of ESOPHAGUS and the beginning of STOMACH at the cardiac orifice. 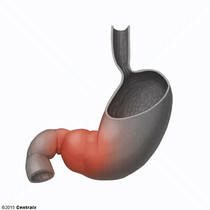 The superior portion of the body of the stomach above the level of the cardiac notch. 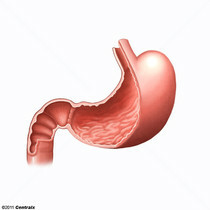 That part of the STOMACH close to the opening from ESOPHAGUS into the stomach (cardiac orifice), the ESOPHAGOGASTRIC JUNCTION. 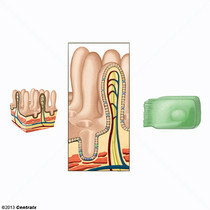 The cardia is so named because of its closeness to the HEART. 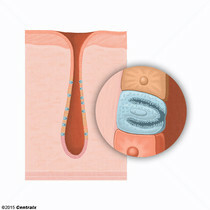 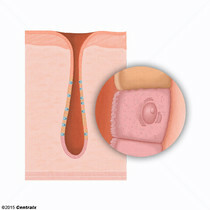 Cardia is characterized by the lack of acid-forming cells (GASTRIC PARIETAL CELLS). 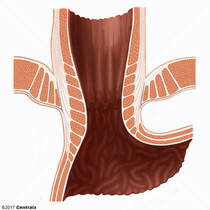 The region between the sharp indentation at the lower third of the STOMACH (incisura angularis) and the junction of the PYLORUS with the DUODENUM. 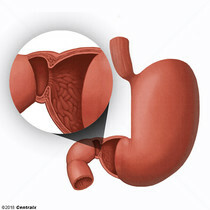 Pyloric antral glands contain mucus-secreting cells and gastrin-secreting endocrine cells (G CELLS).